Want big guns? Transform your triceps with these 5 Tricep Exercises for Mass to help you build bigger, stronger arms. If you want strong, well-defined arms choosing the right tricep exercises for building mass needs to be your number one priority. Your triceps are made up of 3 Tricep brachii heads: long – lateral – medial. Each of the tricep brachii heads have key rolls in all your pushing movements such as Bench Press, Standing Barbell Press and Dips. Any pushing movement will engage your tricep muscle at some point. Most guys training reguarly at the gym understand the importance of tricep exercises however the majority of people still prioritise their biceps over their triceps into their workouts. 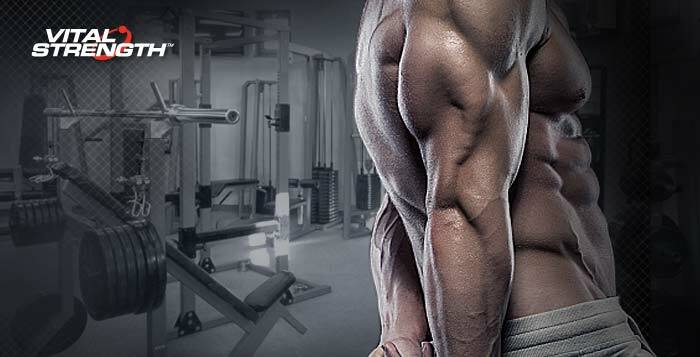 Make sure you include these key tricep exercises to build bigger, stronger arms! Not only will you be able to build the arms you’ve always wanted but your tricep muscles should increase in strength as well as helping you with your “big lifts” especially in the lock-out phase. Here are the 5 best tricep exercises for building massive, toned triceps by expert trainer Rafael David. 1. Lying on a flat bench with your body and feet planted and secure and with your arms extended above your head holding onto the ezy bar in a narrow grip which is inline with your head. 2. Keep your elbows in position and arms stable, lower the bar until it reaches your forehead or you can stretch past your hairline. – don’t change your elbow angle. *Tip: Once you reach the top of each rep, don’t fully lock your elbows out, keep the tension on the muscle by stoping just short of lock out. 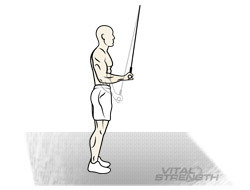 You should always feel your triceps working on the eccentric and concentric part of the movement. In fact this rule should apply to any tricep exercise! *Tip: On the concentric part of the movement, place your knuckles down and hold for 1 second then slowly release up. – Think squeeze! *Tip: Position your body and hands a little more narrower then usual on the bar, tuck your chin in slightly and look down. Include these tricep exercises in your workout routine and you will start seeing gains in your arm strength and size in no time. After your tricep exercises workout we recommend consuming a high protein shake, like Vitalstrength Pro-Muscle to help build muscle size and feed your body.